The GST council has proposed new GST Return filling system on 8th March 2019. Here in this article we have explained the requirements and applicability of all the three returns namely Sahaj, Sugam and Normal. The tax payer can opt to file ANY of the three returns. Each return has different features. For Turnover more than 5 Cr. – Monthly Turnover less than 5 Cr. Turnover less than 5 Cr. 2. Credit of all eligible Inward supplies including missing Invoices (Not uploaded by Supplier) can be taken. 1. Only B2C outward supplies can be shown. 2. Inward supplies attracting tax under RCM can be shown. 3. Cannot make supplies through e-commerce operators. 4. Credit of Missing invoice (Not uploaded by Supplier) not allowed. 6. Such taxpayers may make Nil rated, exempted or Non-GST supplies which need not be declared in said return. The only difference from Sahaj return is that here B2B outward supplies can also be shown. Everything else is same as Sahaj returns. Can be switched to Quarterly Normal MULTIPLE times. c. Who wants to avail provisional credit of Invoices not uploaded by Supplier a. Tax payer whose turnover is less than Rs. 5 Crore. d. Who do not want to avail Provisional credit of invoices not uploaded by the supplier If tax payer is supplying goods/services to business, Sugam can be used. Rest all features are same as Sahaj. 1. For Any document, no action is taken (Accepted, Rejected or Kept pending) shall be deemed to be accepted on filing of the respective return. 2. 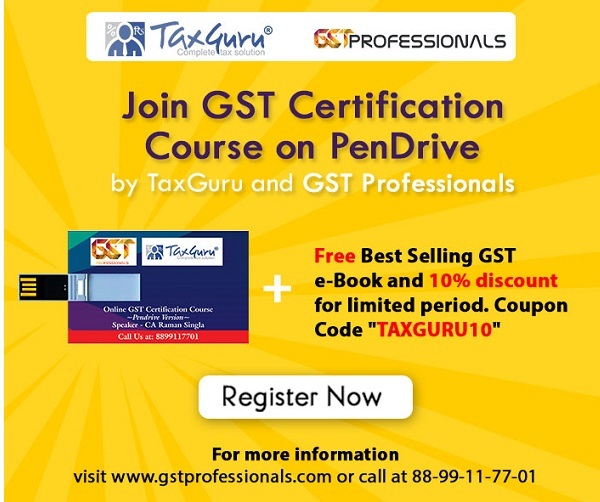 The documents uploaded for month ‘M’ by a supplier who did not file his return for the previous two consecutive tax periods (M-1 and M-2 months) shall be made available to the recipient in FORM GST ANX-2 with an indication that the credit shall not be available on such documents. In other words, such documents will be visible to the recipient but the recipient cannot claim ITC on such inward supplies. However, the recipient can reject or keep such documents pending until filing of return by the supplier. For suppliers filing returns on quarterly basis, this period will be one quarter i.e. if return of one quarter has not been filed, then recipient will not be able to claim credit on the invoices uploaded during next quarter. 3. The return system provides for all editing or amendments from the supplier’s side only. The recipient will have the option to reset / un-lock or reject a document but editing of or amendment to the same shall be made by the supplier only. 1. Initially the total of provisional credit to be availed in the return. However later (after Two months in case of monthly return or one quarter in case of quarterly Returns) or if the supplier does not upload the invoices in his return, recipient shall have to upload the invoice wise details. e.g. 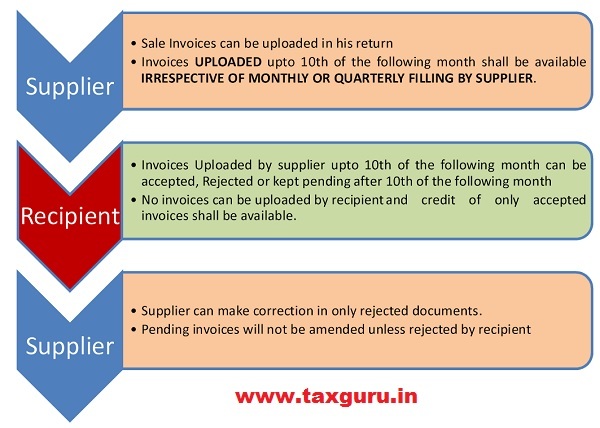 If 3 invoice of April is not uploaded by supplier, the recipient will have to avail credit in total during the April month. However if such invoices are not uploaded even upto June, Recipient will have to upload the invoice wise details of all three invoices. 2. In case supplier later uploads the Invoices, Credit taken provisionally shall have to be reversed.